Buy MoreThanThat a Coffee. ko-fi.com/morethanthat - Ko-fi ❤️ Where creators get paid by fans, with a 'Buy Me a Coffee' button. 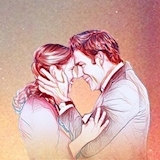 MoreThanThat is a fansite and community devoted to the television show The Office(US), especially to the great tv couple Jim and Pam. Started in 2006, we are the largest and best collection of Office and PB&J fanfiction on the internet! All contributions will go to fund our hosting and other website-related costs to help ensure MTT thrives and stays around for the long haul! Welcome to MTT's Ko-fi Page. If you enjoy the archive or other MTT-created content, please consider supporting us. Thank you! Secured Payments. Support goes to MoreThanThat's account. Upgrade MoreThanThat to a yearly Gold Membership with a one-time payment.